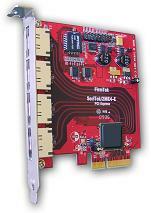 The unique SeriTek/i6G design is aimed to meet the needs of customers who wish to easily add an internal SSD to their computer. No cables to worry about - just mount the 2.5" drive directly on the card and use the included screws to hold it firmly in place. Up to two SSD, HDD or SSHD drives can be attached. Easily Mount SSD or 2.5" SATA HDD in this new compact, high performance enclosure. The SeriTek/6G2+2 was designed to meet the needs of users who wish to be able to easily add SSDs to their Thunderbolt-equipped computer without any fuss. 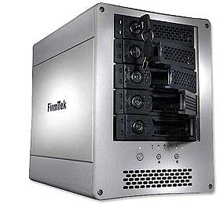 Mount two high-speed, high-capacity 2.5" drives directly within the unit with the option of connecting external SATA enclosures. Affordable Thunderbolt for Mac and PC! Offering four high-speed 6-Gig eSATA ports using just a single Thunderbolt link, the ThunderTek/PX-Q6G supports both direct-connect and port-multiplier eSATA enclosures. Instantly Mount SSD or 2.5" SATA Hard Drives. No tray required, just insert a bare SSD or 2.5" SATA hard drive and close the bay door! Mac OS X Bootable, 4-Port, 6G, eSATA Host Adapter Available! The high performance SeriTek/Q6G is Mac OS X Bootable, whether installed inside the Apple Mac Pro or inside a Thunderbolt PCIe expansion chassis. Lose the Screws: The miniSwap/ES 2.5" here! Inexpensive and Powerful: the SeriTek/e6G 2-Port Adapter. 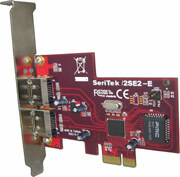 Ultra Performance: The SeriTek/2ME4-E PCI-Express Adapter is Available. Built from the ground up to take advantage of Snow Leopard! SeriTek/5PM: Five-Bay, Hot-Swap, External, SATA Port Multiplier Enclosure. FirmTek's USB/FireWire to eSATA converter for PC and Macintosh computers. Check out FirmTek's amazing port multiplier host adapter with full boot capability and support for up to 20 external drives!. 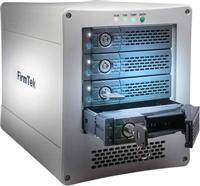 FirmTek's new eSATA four-bay external enclosure with hot-swappable drive trays is now available to order. Also available in specially priced bundles. FirmTek's updated version of their popular two-bay external enclosure now sports more refined styling along with the latest eSATA ports. Also available in specially priced bundles. FirmTek's ExpressCard/34 Serial ATA Host Adapter for MacBook Pro and PC Notebook Computers can be ordered separately or as a specially priced bundle with the SeriTek/2EN2 enclosure. FirmTek's new CardBus 32 notebook host adapter for Macintosh and PC laptops is now shipping separately or as a bundle with the SeriTek/2EN2 enclosure. 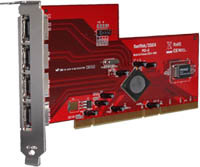 FirmTek's two-port external PCI Express Serial ATA host adapter is available to order separately or as a specially priced bundle with the SeriTek/2EN2 enclosure.